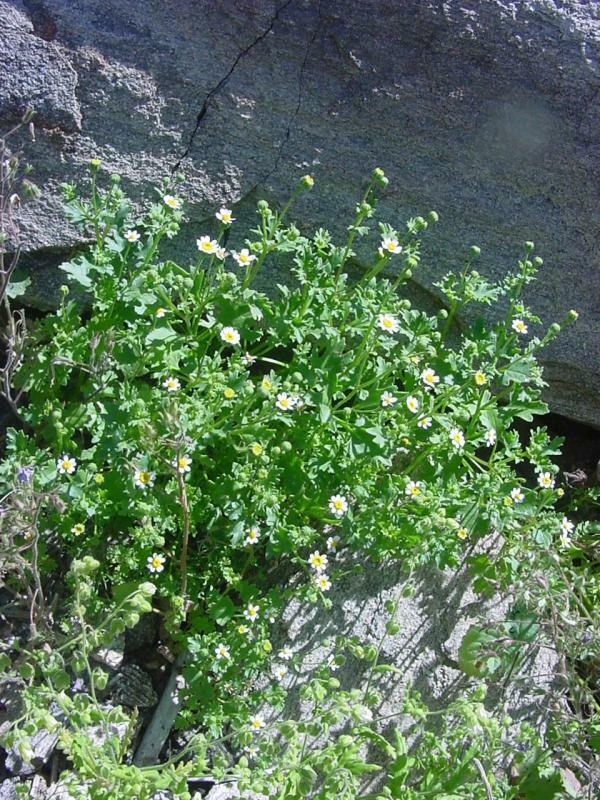 Rock daisy is a stout, somewhat brittle-branched, glandular-pubescent and sparsely hirsute annual growing to about 16" tall. The leaves are alternate, to 4" long, broadly cordate to ovate, petioled, and coarsely-toothed to palmately lobed with the lobes again laciniate-toothed. 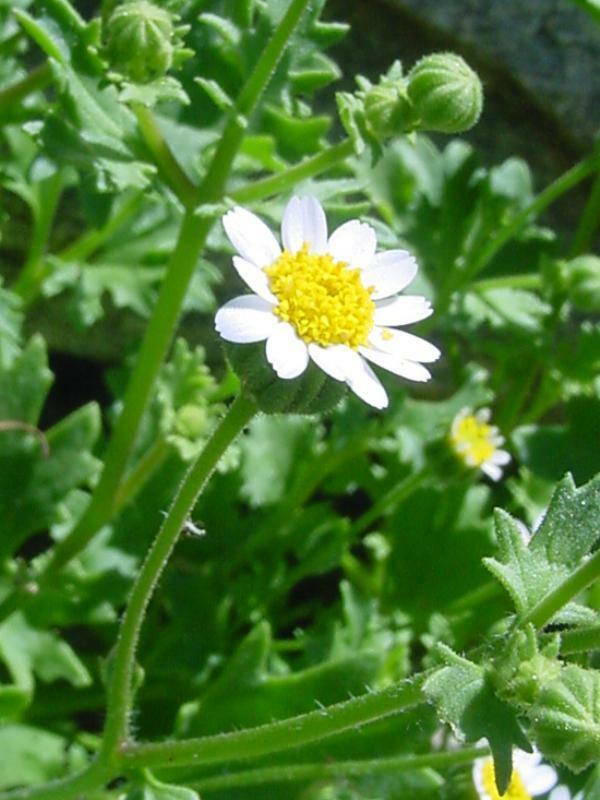 The flowering heads are radiate and solitary on the ends of short stems. 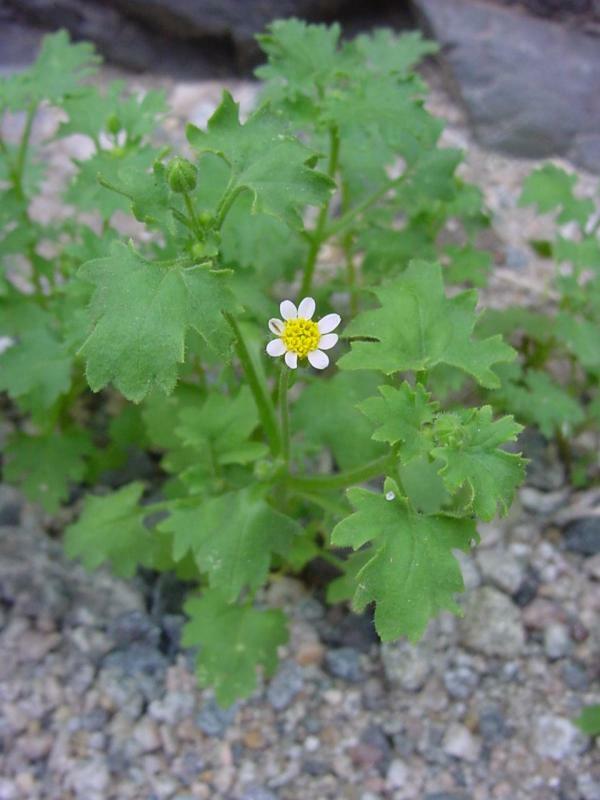 The ray flowers are white and fairly inconspicuous, and are 10-13 in number. The disk flowers are yellow. The hemispheric to bell-shaped involucre is roughly 1/4" high and has two series of thin-margined, glandular-pubescent phyllaries with ciliate tips. There is a pappus which consists of a crown of very small scales and a single slender bristle or awn. This latter may be absent. Both the ray flowers and the disk flowers have achenes, those of the rays are puberulent on their faces while those of the disk flowers are glabrous. 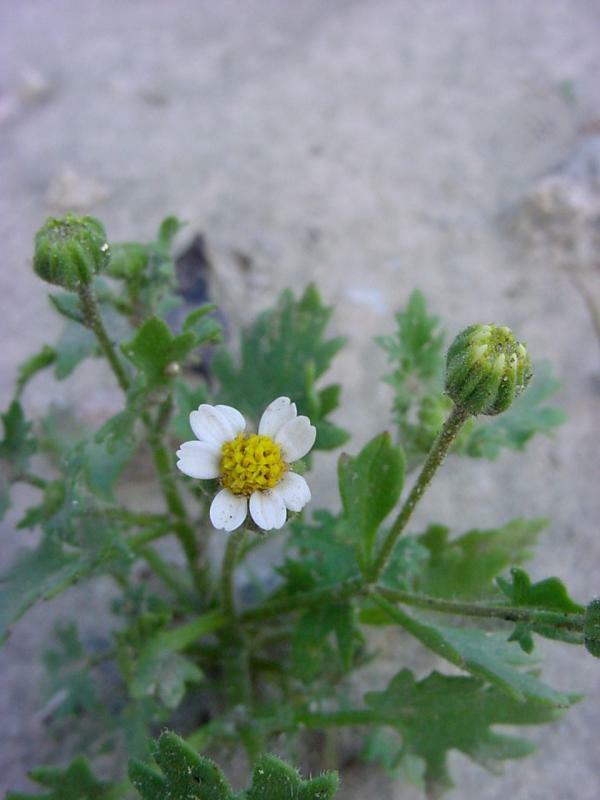 Rock daisy occurs mostly in the desert but may rarely be found in the coastal sage scrub from Ventura to Los Angeles Co. 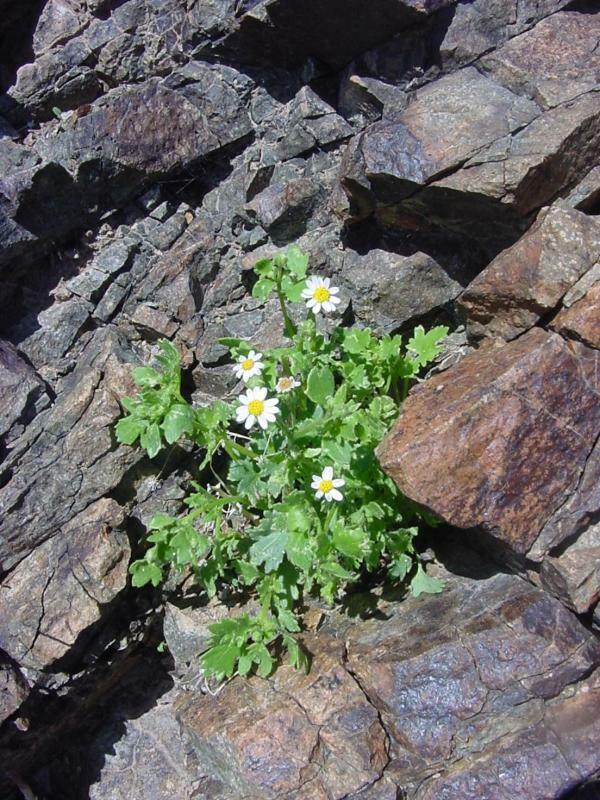 In the east Mojave Desert and throughout the Colorado Desert, rock daisy grows in crevices of cliffs and in rocky places on dry slopes to about 3000'. It is a winter annual, which means that its seeds germinate in late summer or fall, and blooms from February to June. This picture was taken in Death Valley National Park. Click here for Latin name derivations: 1) Perityle 2) emoryi.